Are you tired of hiding your smile when you meet someone for the first time? Wouldn’t it feel great to smile with confidence? Oftentimes, patients avoid repairing problems with their teeth because they are afraid that treatment will be costly and time-consuming. Tooth bonding, however, can be a very cost effective and quick way to repair certain dental issues. Even better, tooth bonding treatments can usually be completed in one appointment at Q1 Dental. To help you decide if dental bonding is the right treatment for you, we are happy to tell you a bit about the procedure, including how it is done, expected outcomes, and what you can do to keep your bonded teeth looking great! Chipped Teeth – Chips can make your teeth subject to decay and stains, which can make your teeth look damaged and dark. In serious cases, they can also lead to greater damage later. Small Spaces Between Teeth – If you have spaces between teeth that make you self-conscious, Q1 Dental can sometimes use cosmetic bonding to fill them in. Tooth Reshaping – If you have a tooth that is differently shaped, oddly shaped, or if one of your teeth has sustained damage, cosmetic bonding can often give your tooth a new shape. NOTE – Please remember that if you are planning to get teeth whitening, it should be performed before tooth bonding since your bonded tooth will not whiten like your natural teeth. Dental bonding is usually performed without anesthesia. A dental bonding procedure on a single tooth takes anywhere from 30 minutes to an hour. First, your doctor will select a shade of bonding material that matches your tooth. Then, to ensure that the bonding material adheres properly, your doctor will lightly etch your tooth with a mild acidic solution and in some cases uses tools to abrade the surface. This process ensures that the bonding agent will adhere firmly to your tooth. The next step is the application of putty-like resin, which is placed on in layers, to create a better looking tooth. Your dentist will mold and shape the material to fix the flaws in your teeth and improve your smile. Once the tooth looks good, the dentist will use a special ultra-violet light to cure, or harden, the bonding material. Finally, your doctor will trim, shape, and polish the resin to match your other teeth and ensure that your bite alignment is correct. Then, you will walk out of our office with a new and improved smile! Bonded teeth normally last between 3 and 10 years, in some cases much more. The most important thing a patient can do is follow good oral hygiene practices at home. This means brush your teeth at least twice a day, floss at least once a day and see your Q1 Dental dentist for check-ups and cleanings. Be careful when biting.The composite resin used in dental bonding is not as sturdy as a tooth. If you bite your nails, or ice cubes, or the pens in your office, you may chip the composite. Avoid staining food and drink.The resin used in tooth bonding is especially susceptible to staining during the first 48 hours after the procedure. So avoid tea, coffee, wine and other food and drink that might stain your teeth for the first two days after tooth bonding. In fact, as bonding material can take up stains, you should always be careful when consuming staining food and drink. 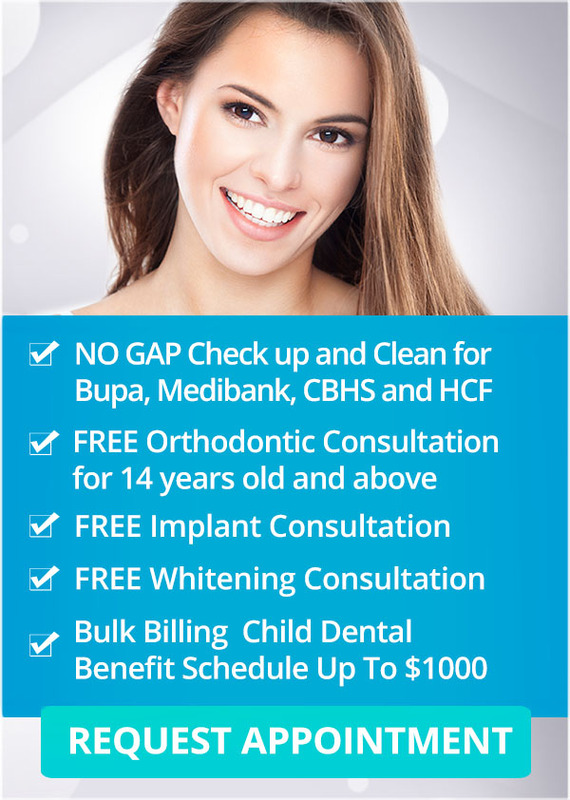 Visit Us at Q1 Dental! At Q1 Dental our training and experience can improve your smile and dental health! For Medibank Private, HCF and CBHS, claim your PAY NO GAP OFFER on a check-up and cleaning. Q1 Dental’s goal is to make quality dental care convenient and affordable. We encourage you to take advantage of our latest offers. For more information, visit our special offers page. Call us on (03) 9078 1955 or book your appointment online TODAY!